Color is true to picture. 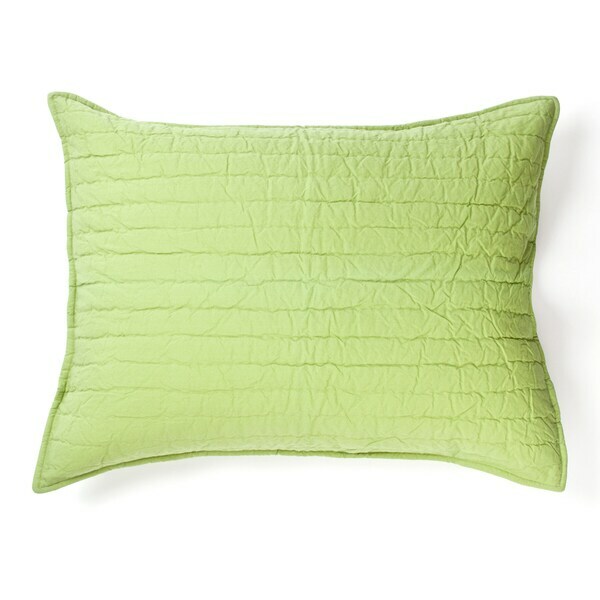 This sham has a cozy cotton construction in a Apple Green color with beautiful quilting. Insert not included. Standard sham is 20x26 inches, Euro sham is 26x26 inches King sham is 20x36 inches. The color is slightly darker than shown but they worked well with the bedding I have. It is really hard to find affordable green euro shams and this did the job at a great price!